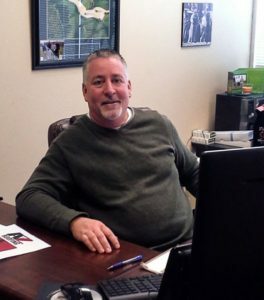 Jim Whelan has been President of A to Z Roofing since 2007. Prior to his position at A to Z Roofing was in sales and management for JEH and Premier Roofing supply. 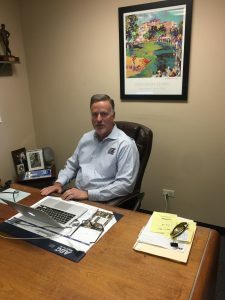 Jim Whelan has sat on the codes commission for the Colorado Roofing Association and has been an active member since 2007. 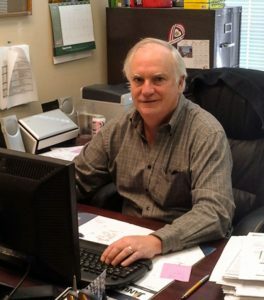 With over 18 years of experience in the roofing industry Jim brings a great deal of knowledge to A to Z. Jim has received extensive training in both product knowledge and applications of various types of roofing. His commitment to quality and service has made A to Z Roofing one of the top roofing companies along the Front Range. Jim Whelan is a graduate of Colorado State University and has called Colorado his home since 1989. Jim resides in Highlands Ranch with his wife of 22 years and their 3 children. 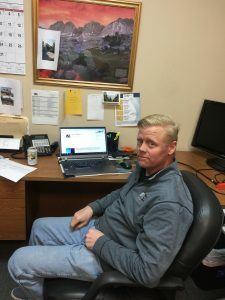 John Granville has been with A to Z Roofing for the past 7 years, and has been an active member of Denver’s small business community for over 30 years. John Granville is originally from St. Louis, MO. He migrated to Denver to attend the University of Denver where he received a BSBA in Management. He has been married for 30 years to his realtor wife, Brooke. They have three grown children and a grandson. John is an avid golfer and tennis player. He also enjoys following the Rockies and Broncos. John Granville sits on the board of Habitat Interfaith Alliance, an interfaith group of fourteen faith groups dedicated to building affordable housing for those less fortunate through Habitat for Humanity. His responsibilities at A to Z roofing include overseeing the accounting, finance programs, and tax responsibilities, managing the marketing, insurance, IT and HR areas. We welcomed Eric’s vast experience and success in the roofing and home improvement industry to A to Z Roofing in 2016. 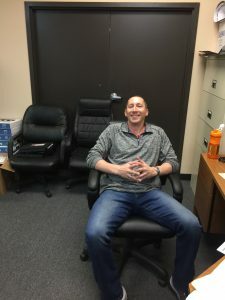 With a proven track record of safe and successful completion of more the thirty multi-family restoration projects, and a passion for providing the highest levels of service, communication, and integrity Eric has become a trusted resource for Property Managers and Homeowners Associations across Colorado. Eric’s ability to recruit, train and develop Project Managers for A to Z has allowed us to grow the company without compromising our high standards. An avid golfer and fisherman, Eric lives in Lakewood with his wife Julie and is a volunteer and proud supporter of the Boy Scouts of America, and Wounded Warrior USA. Jennifer Florea is the backbone of our company and has been with A to Z since 2008. With over a decade in the construction industry, Jennifer brings Fortune 500 experience to a small, local and reputable business. With a strong belief and professional emphasis on customer service, Jennifer helps to ensure that our customers are our first priority. 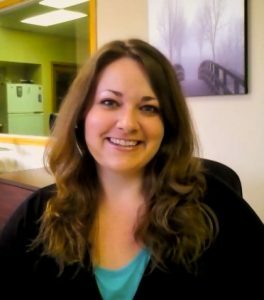 From first phone call; connecting you to a knowledgeable Roofing Professional, to registering manufacturer warranties at project completion, Jennifer works to ensure that your renovation project with A to Z is as seamless as possible. Working hand-in-hand with our Production and Billing Teams, Jennifer acts as liaison for our customers and our A to Z team. Jennifer is a Colorado native and enjoys spending time outdoors traveling the state with her husband, daughter and rescue dog, Harrison. Breanna Beem brings a tremendous amount of experience coordinating with Insurance carriers to assess losses and develop appropriate scopes of repair for commercial and residential clients. Breanna’s knowledge of local and national building codes and steep and low slope roofing systems help ensure our customers new roofs meet or exceed all code and manufactures installation requirements. 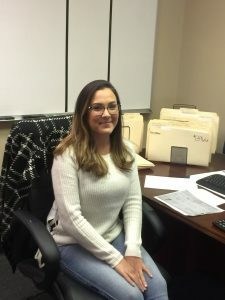 Breanna’s ability to communicate with carriers and adjusters helps navigate our customers through the sometimes-difficult insurance restoration process allowing for a smooth, hassle free transaction. Breanna is a proud Colorado Native and enjoys spending her time with her husband, Juaquin, their daughter, Aria, and their 3 dogs. The Roofing Industry started for John in 1996 with a specialty Cedar Shake Company. Soon after he was introduced to the Stone Coated Steel Roofing Systems and was amazed at the Property transformation that occurs when one chooses a new roof carefully. John is a student of new materials introduced to the markets, and a believer in materials that have Proven their worth for decades or even centuries. John is A to Z’s go to guy for specialty high end tile and stone coated steel roofing systems. Johns interests outside roofing include running, hiking, and listening to live music. After spending 10 years in corporate America; my drive, passion, focus evolved into assisting and educating local members of our Colorado communities to properly restore their homes to pre-storm condition. I strive to educate, inform, and provide the highest level of customer service from project commencement to the final result for every A to Z Roofing & Exterior prospective customer. Proud alumni of the University of Iowa and Colorado State University. In my free time my hobbies consist of: hunting, fishing, running, hiking, cooking, working out, traveling to see family/friends, and volunteering at Metro Caring Denver. After spending 10 years as a Senior Property and Casualty Adjuster with State Farm Brett joined the A to Z team in 2004. For the past 15 years Brett has been a trusted resource for insurance agents and homeowners. 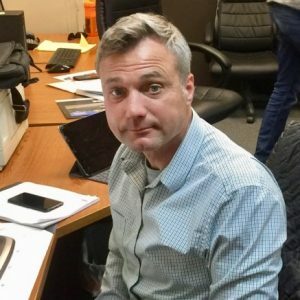 Brett’s unique combination of property loss adjusting experience and his ability to guide homeowners through the sometimes difficult claims process results in highly satisfied customers and a significant referral business. When Brett’s not on your roof you can find him behind his easel working on another piece of art or preparing to wrastle a gator. Rod Hill has been a residential and commercial roofing professional in the Denver Metro Area for almost a decade. Rod specializes in multi-family roofing projects and assisting Homeowners Associations asses and plan for future roofing needs. On the commercial side Rod is well versed in fluid applied, and single ply roofing systems helping property owners navigate the nuances of Denver’s Green Roof Initiative. 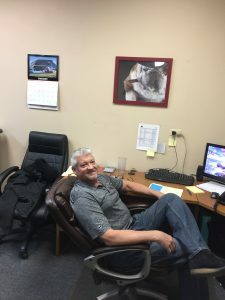 Rod enjoys the everyday interaction with his customers, and the thrill of solving complex roofing concerns with viable cost effective solutions. When not on a roof, you can find Rod with his family enjoying all that Colorado has to offer. He is still on the search for a great slice of pizza he was accustom to growing up in the mid-west.